This autumn 80 learning disabled artists will occupy contemporary and historical venues across Greater Manchester in PERSPECTIVES, a series of exhibitions, happenings and creative exchanges proudly presented by Venture Arts. From 1 October 2018 through to 24 February 2019, artworks developed over the last two years will be unveiled to the public for the first time in a number group shows including themes of collections, text and line, and photography. Venture Arts will be presenting a series of events and happenings linked to the exhibitions and further information about these events will be announced soon. Please see below to see the list of exhibitions and events. Now in its tenth year, The Manchester Contemporary takes a uniquely artist-focused approach, inviting the most exciting international and UK galleries to participate. 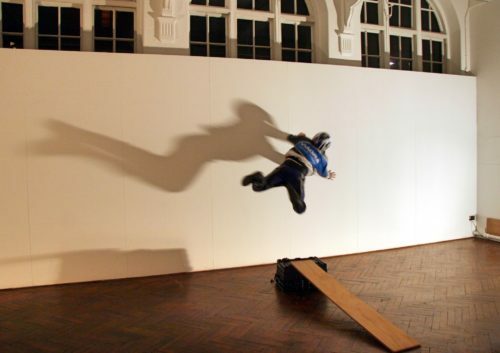 Building on our long-standing partnership Castlefield Gallery and Venture Arts are pleased to be presenting ‘Spilling Out’ at The Manchester Contemporary 2018. ‘Spilling Out’ will include new and existing works in a range of mediums including ceramics, drawing, print, textiles and paint. The joint presentation will profile artists living and working in the North West region; Frances Disley, Barry Anthony Finan, Jennie Franklin, Katie Tomlinson, John Powell-Jones, Ahmed Mohammed and Leslie Thompson. Leslie Thompson, AKA ‘The Superstar Artist Drawer’ will be live capturing his interpretation of the fair on its opening evening of Friday 12 October from 5pm-9pm. Text and line are leading themes in the artwork displayed at Elizabeth Gaskell’s House, the restored home of celebrated English novelist and writer Elizabeth Gaskell in Longsight. Taking place from 1 November – 2 December, emerging artist Michael Beard’s sizable text drawings, conveying hopes and dreams to explore the world will be exhibited alongside Florence Haskin’s neatly embroidered typography piece about her favourite YouTube videos. Also on display will be acclaimed artist Barry Anthony Finan’s porcelain scrolls, featuring his continuous lines of writing about his fascination with ‘TELEVISSIONS,’ the BBC and prominent figures in his life. On consecutive weekends Venture Arts opens its new studio space in Hulme, Studio 53, with differing and unusual works each time exploring experimental art, photography, sculpture and moving image. These studio shows will offer visitors an insight into the artist’s creative practice, viewing the collection of artworks in situ where the work has been developed. Highlights include a re-appropriated record player that has collaboratively been transformed into a zoetrope of artistic pre-film animations and a 3D projection mapping installation. The Lowry, Salford Quays, will display artistic highlights of artwork created by young artists who regularly take part in Venture Arts’ Young People’s Art Club. Artwork from three local primary and secondary schools, who worked alongside learning disabled artists to create an eclectic range of artworks, will also feature in this joint exhibition. 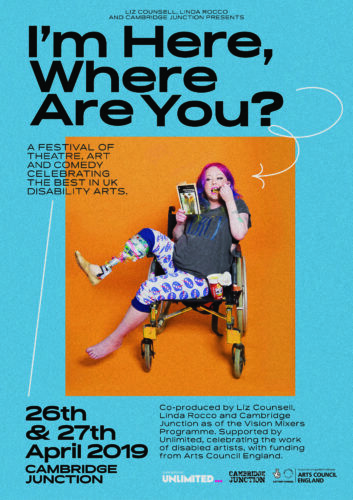 Thursday Lates presented by Venture Arts and entitled ‘Perspectives in Contemporary Art’ will seek to open up conversations about the visibility of learning disabled artists within contemporary art spaces and how this relates to both the world of outsider art and the disability arts scene. 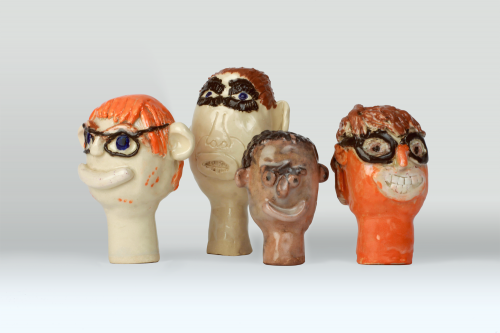 There will be opportunities to hear specialist view points in the field and to hear about Conversations Series II -a diverse six-person residency using the Whitworth’s Outsider Art Collection as a starting point. Artists will be on hand from Venture Arts to share their work with you from PERSPECTIVES over food and drinks, and audio-visual artist Joe Beedles, a current artist in residence, will be showcasing a new immersive AV piece utilising his sounds and digital imagery and projection mapping created by artists from Venture Arts. Please check the Venture Arts website at https://venturearts.org for updates and further details. All venues are accessible. Please get in touch if you need any other access assistance.